Pictured right is his version of what Diana might look like today. . Wallpaper and background images in the Princess Diana club tagged: princess of wales diana. 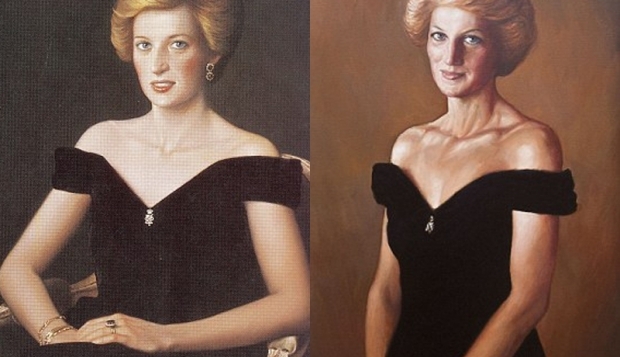 This Princess Diana fan art contains aantrekkelijkheid, beroep, hotness, portret, headshot, and close-up. There might also be bustier, cocktailjurk, schede, chemise, shimmy, verschuiving, glijden, teddy, chemise met shimmy, shift, and slip.